How God governs creation through Divine Providence is revealed in this book, and describes why the human race was created. Unlike the theory where creation is a machine which God just created in distant time, this book reveals that God is actively involved in all things that occur in this universe. There are many laws of Divine Providence which remain hidden from view from humanity. 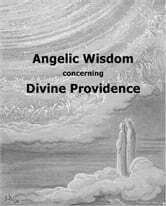 Much of the reason why the Divine Providence remains hidden from view is to preserve man's freedom of choice to follow God's will, or to turn away from Him to serve one's own selfish ends. Each person must compel themselves towards a closer union with God by removing internal evils inside oneself as sins against God, for this is the only means of spiritual purification. Also discussed is why God allows evil to exist, the origin of evil, and laws of permission. Several spiritual laws are discussed, the primary of which is "man should act from freedom according to reason" and that man should discipline himself to remove evils from within. In the spiritual progression of each person, three states are described: selfishness, followed by a reformation of the mind, followed by a final state of regeneration of the will. Each person will ultimately be held responsible for their deeds and thoughts, and it is from a person's free will that they will appropriate good or evil to their nature which determines their future lot in the afterlife. 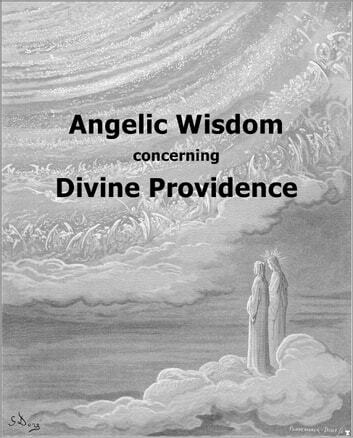 This is volume 25 of the multi-volume work, The Divine Revelation of the New Jerusalem, and is also available in a 3 volume set entitled Angelic Wisdom concerning the Divine. This work has been formatted for digital publication: it includes a hyperlinked table of contents, references, index, and footnotes. The index has been recently updated so that all topics are hyperlinked to the proper paragraph numbers. ABOUT THE AUTHOR: Emanuel Swedenborg (1688-1772) was born in Stockholm, Sweden. He journeyed to England, Holland, France, and Germany to study and work with leading scientists in western Europe. Upon his return he apprenticed as an engineer under the brilliant Swedish inventor Christopher Polhem (1661-1751). King Charles XII of Sweden gave him a salaried position as an overseer of Sweden's mining industry (1716-1747). After the death of the King, Emanuel was ennobled by Queen Ulrika Eleonora. This gave him a seat in the Swedish House of Nobles, where he remained an active participant in the Swedish government throughout his life. A member of the Swedish Royal Academy of Sciences, he devoted himself to scientific studies and philosophical reflections that culminated in a number of scientific publications, mainly concerning minerology and physiology, where he had made several discoveries. From 1743 to 1745 he entered a transitional phase that resulted in a shift of his main focus from science and philosophy to theology. Throughout the rest of his life he maintained that this shift was brought about by Jesus Christ, who appeared to him, called him to a new mission, and opened his perception to a permanent dual consciousness of this life and the spiritual world of heaven and hell. Although he at first published his theological works anonymously, he became more well known to the public when he had a clairvoyant experience where he could describe a fire in Stockholm in 1759, over 400 km away. This was investigated by the German philosopher Immanuel Kant, who confirmed the event, and it was also noted by Carl Jung who borrowed from Swedenborg for many of his ideas in psychology. At other times Swedenborg demonstrated his clairvoyant abilities to multiple witnesses, including John Wesley, the founder of Methodism. Zen master D.T. Suzuki called Swedenborg the "Buddha of the North." God's Servants or Money Grubbers?